Jean Lambert, the Green MEP for London, is today supporting her fellow MEPs from the Greens/EFA group  as they take to the streets in the in the Euro-demonstration against austerity measures in Brussels today, as part of the wider European Day of Action. The Greens will join with workers from across Europe to protest against the austerity measures recently adopted by many European countries and calling for investment in employment creation. Jean said: “The savage cuts we have seen replayed again and again across Europe will not only hit the most vulnerable the hardest, but risk dragging us back into a double-dip recession. 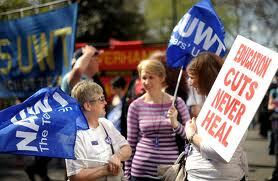 “In the UK, the coalition Government has presented these cuts as an economical inevitably. They are not. They are an ideological choice that will serve to widen inequality by disproportionately affecting those who rely most heavily on public services – women, ethnic minorities, disabled people and older people. This will be between 12 – 2pm. We invite you to join the unions to campaign against cuts and instead a Robin Hood tax on the banks. There will be various petitions to sign, and leaflets to hand out. Attached are notes from our planning meeting held on Friday 24th September. We decided not to have a rota because of volume of people that want to help! If you can help just turn up to either stand anytime for however long you can do. At the Market Place stand ask for Linda Adams. At the Abington Street stand ask for Mick Fitzmaurice. They will explain what to do. want as many people there as possible! We look forward to seeing as many of you as possible on Wednesday! We want the banks to pay, not public sector workers!!! 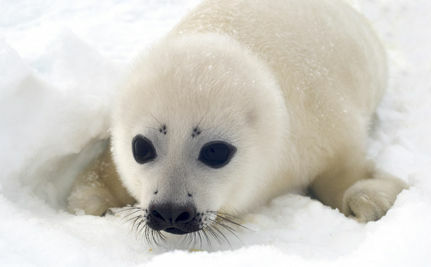 On August 20, the EU ban on seal product trade came into effect. While the ban does not have the total protection animal activists had hoped for, this ban is definitely worth celebrating. The current ban does remove a primary market for the global commercial sealing industry. Sadly, one complication surfaced before the ban took place, a temporary suspension exempting a group of commercial and Inuit sealing interests for a few weeks, pending a hearing. Over the past few weeks, animal activists expressed their concern with some conditions of the ban, especially the lack of protection for harp seals. With so many people in support of protecting seals, millions of people in Europe, 550 elected Members of the European Parliament, and 24 European countries who voted in favor of the ban, all wish to see trade in seal products put to an end. 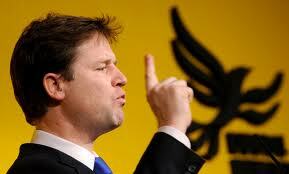 As Lib Dem leader Nick Clegg prepared to defend the coalition’s cuts in his keynote speech to the Liverpool conference today, the Green Party reiterated its alternative policy (1) – investment in job-creation funded partly through higher taxes on higher incomes, partly through scrapping projects like Trident, through cracking down on tax evasion and tax avoidance (2), and though a “Robin Hood Tax” on financial transactions (3). The Green Party leader and Brighton Pavilion MP’s criticisms came in a new video published today by the Green Party (4). But she asserts that “on a whole range of issues they’ve sold out.” She speaks of Mr Clegg’s compromises over Trident, nuclear power and electoral reform. Nick Clegg was confronted yesterday with the concerns of his party’s grassroots, who are worried their party is struggling for distinction in government. In his first question and answer session with activists since Clegg took the Lib Dems into government, the deputy prime minister was tasked with improving his team’s public relations and explaining his recent claim that the Lib Dems were no longer a party of the left. He told the party they were achieving “great things” putting liberal values into practice in government, but was politely challenged by a number of activists chosen by the party to put questions to the Lib Dem leader. Today, a former MP from the left of the party, whose support for the coalition with the Tories in its early days has been remarkable, breaks ranks. Writing in the Guardian, Evan Harris, former MP for Oxford West and Abingdon, warns the Lib Dem leader he does not have a “blank cheque”, that he has been wrong to claim the budget was fair and that the Lib Dems must get themselves in a position to work with the Labour party “if the parliamentary numbers work”. Clegg is not facing any kind of rebellion, and more hostility is reserved for the mention of Labour politicians than those of Tories but Harris’ intervention is typical of the gentle criticisms that are starting to be thrown at the Lib Dem leader. Aside from pantomime hostility towards Labour figures who most Lib Dems feel are being too harsh in their attacks, underneath the surface activists and some MPs are worried they may struggle in election fights against Labour or the Green party. Lib Dems are at conference in their highest ever numbers but many feel uncertain about fighting the next election when they will be defending a platform they do not wholly agree with. Others fear the party may not be “capable” of forming an alliance with Labour at the next election even if they wanted to, having become too close to the Conservatives. The deputy PM believes his party’s achievements in government are being manipulated by newspapers unsympathetic to the coalition, who would have preferred his party to forge an alliance with Labour. Yesterday Clegg underlined that if the coalition failed, then the possibility of all future coalitions would be jeopardised. At a fringe event, Clegg’s chief of staff, Norman Lamb, said there was “every prospect” the party could join with Labour for the next election: “We are pluralists prepared to work with other parties to achieve liberal, progressive objectives. If there was any potential for co-operation with Labour there are a series of liberal tests they must meet, setting out requirements on the deficit and ending rightwing posturing on civil liberties. Setting out what “the Lib Dem left want from Nick Clegg”, Evan Harris warned his leader not to get too comfortable. “We must make sure that we are in a position to dock with the Labour party if the parliamentary numbers work and there is relevant policy overlap. Regardless of what a wounded Labour party is saying now,” he said. “Our leader has done a good job for the party and in government, but he has made one major error. Talk of ‘fair cuts’. Cuts in public spending of the scale needed (or at least envisaged) are never going to be truly fair or progressive … it is fundamentally wrong to claim the cuts will be fair. “The government claimed that the budget was progressive in that it hit the rich more than the poor. It did not. 41 per cent of UK towns are clone towns and a further 23 per cent are on the verge of becoming clone towns, according to the widest ever Clone Town survey results released today by leading independent think-tank nef (new economics foundation). Only 36 per cent of the high streets surveyed retain their distinctive character with more than two thirds of their shops being independents. The nef report, Re-imagining the High Street: Escape from Clone Town Britain, also brands the multiple chain outlets as “fair weather friends” who have either abandoned the high streets entirely or given up so-called secondary locations. 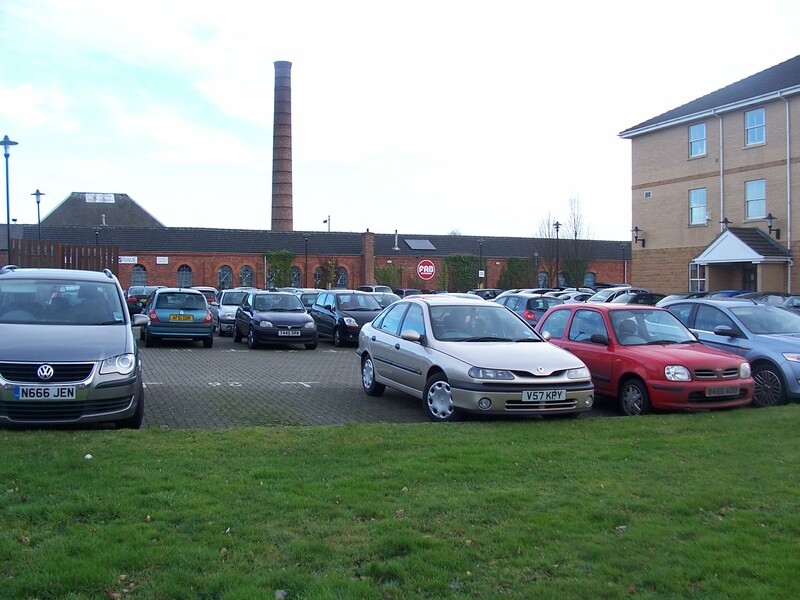 The report says that overall trend towards “Clone Town Britain”, continues, despite widespread publicity about the loss of local identity following the 2005 Clone Town report. • 41 per cent of the towns surveyed were “clone towns” (more than half the stores were chains); 23 per cent are on the verge of becoming clone towns (border towns); and 36 per cent were “home towns” (more than 2/3rds of shops are independents). • Cambridge is the UK’s most cloned town, managing only 11.6 on the diversity scale (out of a possible 100). Only nine varieties of shops are found on the main high street. • Richmond has the most cloned high street of London’s “villages”, with only five independent shops found down its length. • Whitstable, Kent is the best performing “home town”, according to the survey, scoring an impressive 92.1. on the diversity scale. • Nine of the 13 west London village high streets surveyed registered as “clone towns”. • Individuals: “Use them, or lose them”. Residents should put their money where their mouth is and seek out independents and locally sourced products. • Local government: Establish High Street Transition Hubs in key vacant shops to help develop local economies. These could range from local currency development (like Brixton £) to local food distribution and tool share/exchange schemes. They would not be general “community centres”. • Central government: Give local authorities powers to offer discretionary business rate relief for new and established independent enterprises to move onto the high street and commit to reducing their carbon footprint. Northamptonshire County Council is hosting a Big Society summit at Kettering Conference Centre on Saturday 2nd October 2010 in partnership with the Northamptonshire Community Foundation. The Big Society agenda set by the Conservative and Liberal Democrat parties aims to get NCC to work with voluntary, community and charitable groups across Northants. They are inviting: government ministers, the voluntary sector, community groups, churches and religious foundations and selected experts. The Summit will also show off existing projects and initiatives already working in the county. NCC hopes these volunteer schemes will prove that the Big Society scam can cut paid for services without cutting services. The agenda will include addresses from worthy individuals and the opportunity to question them, as well as case studies and workshops. They are expecting the day to last from 9:15am to 4:15pm. Mr Francis is the national Transport Speaker for the Green Party. New research shows that in many cities people are locked into driving cars rather than choosing to use them. Campaign for Better Transport’s comprehensive research, published today, showed that Nottingham is the least car-dependent city in England, closely followed by London and Brighton and Hove. Campaign for Better Transport’s Car Dependency Scorecard examines for the first time how dependent we are on cars in major cities – and suggests providing sustainable transport choices would be a solution, creating a greener and less congested urban environment. It uses data from 17 different sources to rank the main 19 cities in England. The report is published as the Government considers massive cuts to local transport funding, which could harm the ability of cities to reduce dependency on the car. It warns that improvements in many cities could be under threat if funding is cut following the Spending Review. Ten years ago John Prescott launched Labour’s Transport 2010 strategy for transport which aimed to help local authorities to provide better and more integrated transport options. The Car Dependency Scorecard gives an indication of which local transport authorities have used the powers and funding effectively to improve transport in their city. Each ranked city has a separate grade for their local transport plans, with Nottingham scoring best for its plans. Two cities in each UK region were selected on population data. For the south and south-east, due to the high numbers of commuters in these regions, we also decided to include Milton Keynes and Cambridge. The Scorecard identifies 17 indicators which reflect car dependency. These were mainly publicly available data produced by the Department for Transport, (DfT), Commission for Rural Communities, Department for Communities and local Government (DCLG), the Audit Commission and the Office of National Statistics. In all instances we used the most recent data available. Additional analysis was done by Campaign for Better Transport to produce information on price of bus services and mode share of peak time journeys. You are currently browsing the The Northants Green Party Blog blog archives for September, 2010.